Floods can have a devastating impact on life, property and economic resources. However, the systematic collection of damage data in the aftermath of flood events can contribute to future risk mitigation. Such data can support a variety of actions including the identification of priorities for intervention during emergencies, the creation of complete event scenarios to tailor risk mitigation strategies, the definition of victim compensation schemes, and the validation of damage models to feed cost-benefit analysis of mitigation actions. 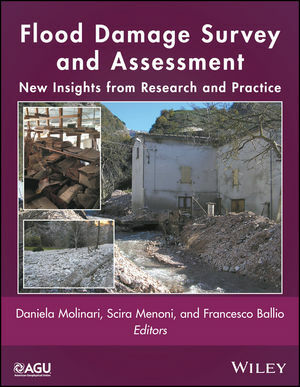 Flood Damage Survey and Assessment: New Insights from Research and Practice will be a valuable resource for earth scientists, hydrologists, meteorologists, geologists, geographers, civil engineers, insurers, policy makers, and planners.